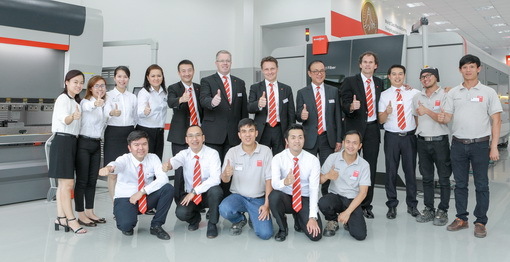 Sheet metal processing companies in Southeast Asia are growing with Bystronic technology. 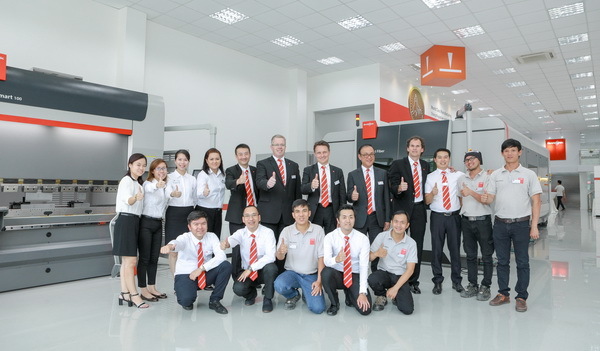 Hence, Bystronic is expanding its local infrastructure in Vietnam for all aspects relating to consulting, sales, and customer services for state-of-the-art technologies in the fields of laser cutting, bending, and automation. Bystronic Vietnam held the official opening ceremony for the new subsidiary in Ho Chi Minh City in April. In addition to sales and service areas, the new subsidiary also boasts a demo center, where Bystronic provides its customers with advice during live demonstrations in the fields of laser cutting, bending, and software. 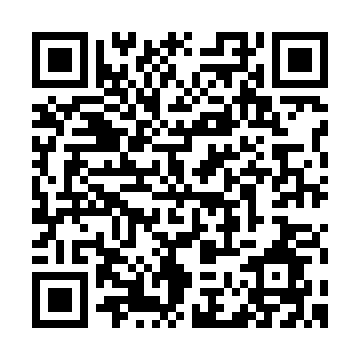 Thus, Bystronic now offers its customers in Vietnam two local points of contact for the consulting, sales, and service relating to state-of-the-art sheet metal processing technologies at its business locations in Ho Chi Minh City and Hanoi.